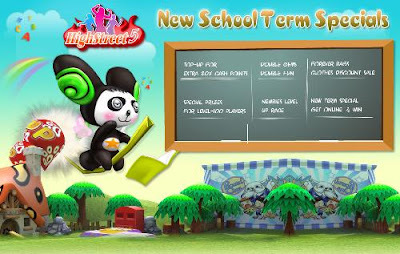 "Start the year right with the High Marks"
NEW! 14th PHP20 Pack in Store! FREE CASH POINTS for refering-a-friend! Summer maybe over but it doesn't mean that the fun stops there. welcome the school year 2009 - 2010! all Highstreet5 fanatics will surely enjoy all the fabulous prizes! so dance your way to the spotlight and get those street dance moves on fire! and fun filled race that will surely tickle your hearts out! Crack the codes and solve the mystery of Alibaba's Treasure for dazzling gear. Don't get singled out and grab a partner for an amazing date night every Saturday! to keep you up and awake for school. San ka pa ba? Dito na sa pinaka astig at bongang bongang online dance game sa Pinas! Sino maysabi na kailangan pa ng try-out, kung pwede naman sumikat agad.